The Canadian CED Network is very pleased to announce that Sarah Leeson-Klym has been appointed Manitoba Regional Director as of September 1. Leeson-Klym, who has been CCEDNet - Manitoba's Learning and Engagement Coordinator since 2011, brings the knowledge, skills, passion, and leadership required to strengthen and grow the network. Leeson-Klym has an intimate knowledge of CCEDNet's programs, operations, staff, members, and partners. Since first being hired to organize the Manitoba Gathering three years ago, she has steadily taken on additional responsibilities including all skill development and public education workshops and the Enterprising Non Profits - Manitoba program for social enterprise development. Responsible for member engagement, she developed important relationships and gained insights into their activities, challenges, and collective vision for better, healthier, fairer, and stronger communities and local economies. A dedicated community organizer, Leeson-Klym is also a board member of the Daniel McIntyre St. Matthews Community Association and was the stage manager for the 2012 and 2013 LITE Wild Blueberry Pancake Breakfast. She is also an active board member of the successful and rapidly growing Rainbow Trout Music Festival. Leeson-Klym has an interdisciplinary degree in Social Justice Theory and Practice from the University of Winnipeg, as well as an Arts and Culture Management certificate from MacEwan University. Michael Toye, CCEDNet's Executive Director, commented that "Sarah's values and vision for social and economic justice, deep understanding of CED, experience in building a strong movement for change in Manitoba, and ability to lead a strong network that both serves and represents the members and their missions will continue to build on CCEDNet's successful presence in Manitoba." 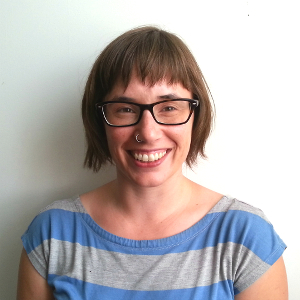 Feel free to welcome Sarah Leeson-Klym to the new role at sleesonklym [at] ccednet-rcdec.ca.